UK-based Ethiopian band the Krar Collective’s star continues on the ascendent during 2012. After many concerts to great acclaim and an appearance as part of the Africa Express recently, they are due to launch their new album “Ethiopia Super Krar” (Riverboat Records/ World Music Network) tomorrow (Thu 20th Sept) at Rich Mix in London (35, Bethnal Green Road, E1 6LA) with various guest artists and DJ Russ Jones. 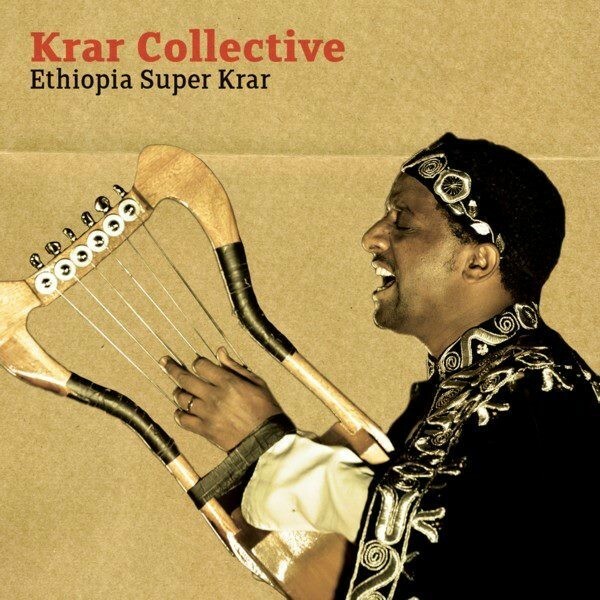 “Led by Temesgen Zeleke, a former star pupil of Ethiopian legend Mulatu Astatke, Krar Collective perform a rootsy yet contemporary take on traditional music from Ethiopia based on other-worldly modes and driven by hypnotic rhythms. The 6-stringed krar lyre is associated with the azmari minstrel tradition; in the hands of Zeleke it becomes a gritty, ancient rock guitar. Accompanied just by drums and fronted by the stunning, soaring voice of Genet Assefa, Krar Collective create a surprisingly big sound, leading one critic to name them ‘The Ethiopian White Stripes’. Launch Night - Rich Mix - 20/9/12: Tickets are £10 in advance / £13 on the door. This Tour is part of the Making Tracks initiative.